It’s a familiar refrain. Sharing images on social media seems to have become a substitute for the bag of souvenirs that was brought back for family and friends. What is happening? How will this impact on the future of crafts? Many people call this new form of consumption, “experience economy”. This term is derived from Alvin Toffler’s prognostication, Future Shock (1984), where it reflects a shift to the service sector: “once a techno-society reaches a certain stage of industrial development, it begins to shift energies into the production of services, as distinct from goods.” (Toffler 1984) For Toffler, this economy will be driven by what he calls “experience makers”, who use psychology to enhance the experience of consumption. This trend was named the “experience economy” in an issue of Harvard Business Review in 1998 (Joseph Pine and Gilmore 1998). Much of this action was initially at the level of marketing and focused on the development of brand identity. Coca-cola became more than just a refreshing drink, the product aimed to package the experience of relaxing with friends. Nike became not just an efficient running shoe, it was an attitude of determination. An interesting parable of this can be found in the Disney animation Coco about the Mexican festival of the Day of the Dead. The boy hero dreams of being a celebrity singer, but he is held back by his family who believe that it is better to make something practical like shoes that chase illusions. You can understand why this story is being pushed by the expanding entertainment empires of Disney, Netflix and Fox. Their interest is for audiences to spend less time in productive activity and more time binge-watching on the couch. The industrial post-war economy centred around the ownership of things, particularly a house and car. But increasingly, our relation to these things is temporary, reflected in rented commodities such as software and entertainment subscriptions. Craftspersons make very attractive subjects for the camera. Our Instagram and Facebook feeds are filled with appealing images of artisans at work, making beautiful objects with care and patience. But what do artisans themselves benefit from all these images? I’m aware that the picture I’ve painted so far seems rather grim for crafts. But this has been a familiar refrain since industrialisation. There’s a certain comfort in its seeming purity, but this can blind us to the new frameworks for the handmade that are emerging. I do believe that this “experience economy” does contain some important new opportunities for the crafts, if we adapt to its needs. In my country, Australia, the situation for crafts is far from bleak. Anecdotal evidence indicates a boom in craft workshops, mainly reflected in courses for the general. Evening pottery classes are all booked out. A common story is of office workers who spend their days in front of a screen, feeling disconnected to the world, and needing time at the wheel as a grounding experience. Certainly, craft as a service to non-specialists seems to be growing in new ways. 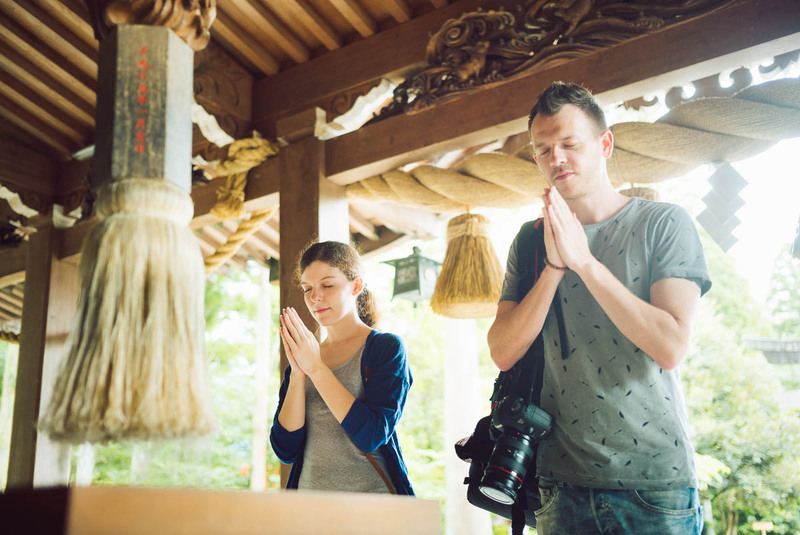 One of the world’s leading craft cities, Kyoto, finds itself quite overwhelmed with tourists as more foreigners are attracted to the clean, efficient and friendly Japan. But handmade craft objects, produced by masters, are often beyond the normal tourist budget. At the same time, the iconic craft product of the kimono is losing its traditional market (Hareven 2002). Brides are increasingly turning to kimonos they can hire for the occasion, made from polyester and produced in China. 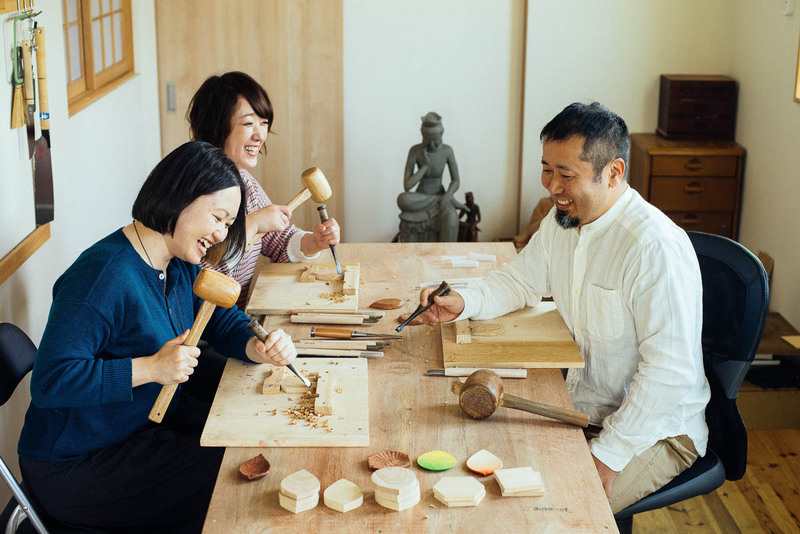 In response, the city of Kyoto, in association with the Kyoto Museum of Traditional Crafts, developed a program called Artisan Concierge, where tourists can spend a day in a craft workshop learning to use a traditional skill. 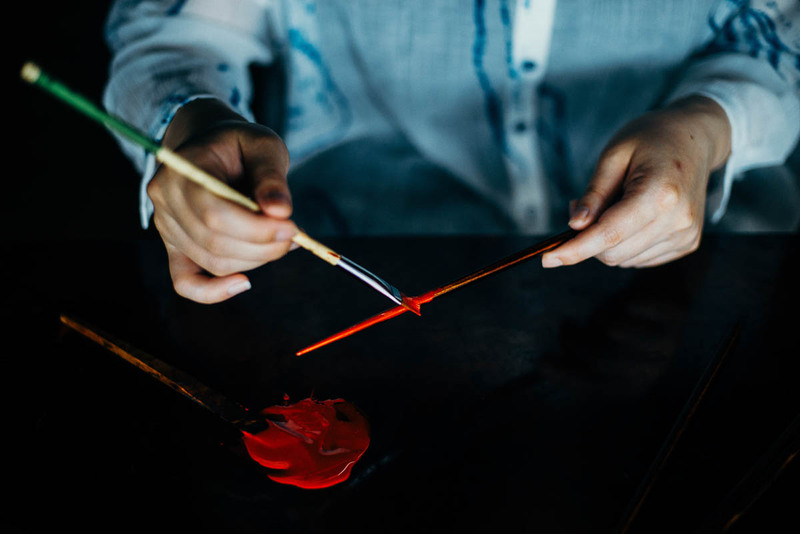 They can select from a range of techniques, including kimono weaving, tie-dyeing, lacquerware, round fan-making and incense making. A YouTube video shows master lantern maker, splitting bamboo, applying paper on which he paints designs. This is followed by a scene where he instructs three young tourists how to make a small lantern. Obviously, it is impossible to learn such a craft in a day, so it must be presented in a minimal form, skipping the complicated moves and using readymade materials. 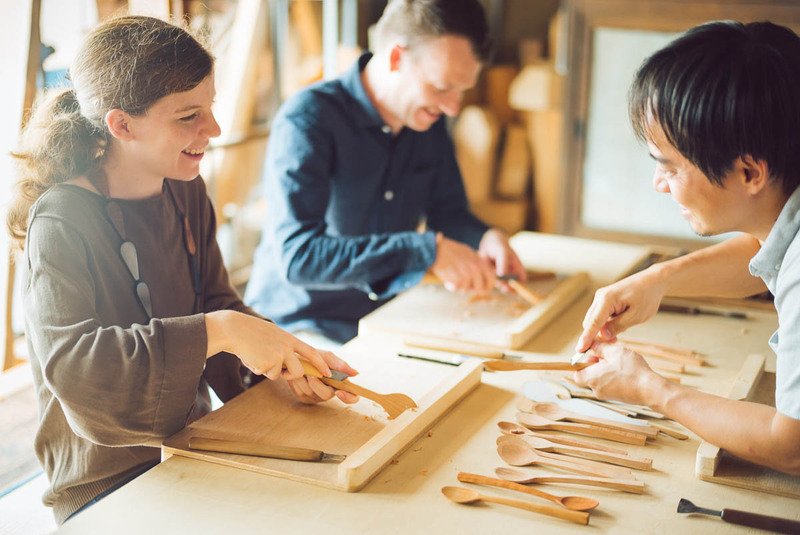 Meanwhile, the tourists have a memorable day in a traditional Japanese workshop, punctuated by tea and snacks. Memories are created of a space which is tranquil and focused, far from the frenetic buzzing spaces of office life. They get to test their skills and learn to make an object which can have a life outside the workshop. These visitors have the experience, and the object to show for it. The service currently includes 38 workshops, 16 of whom were established more than 100 years ago and seven more than 200 years ago. Thus far, there have been 71 workshop visits and more than 850 people have used the service, 45% of whom are foreign visitors. We see this kind of model elsewhere in Japan. 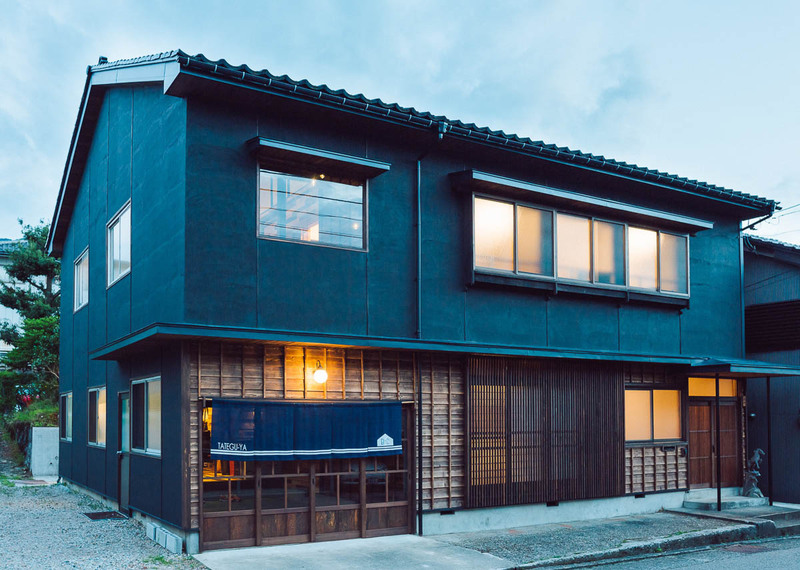 In Toyama, the Bed and Craft service combines accommodation with the craft experience. In Tokyo, tourists are offered a class in making a tenugui cotton hand towel. Even a seeming specialised technique like glass blowing offers as a one-day experience by the Tokyo Glass Art Institute. How do we evaluate this turn to “craft experiences”? One particular concern that I have is that it doesn’t necessarily encourage artistic excellence. While workshops offer a welcome income for the maker, they take time away from the bench, particularly in making works of exhibition standard. 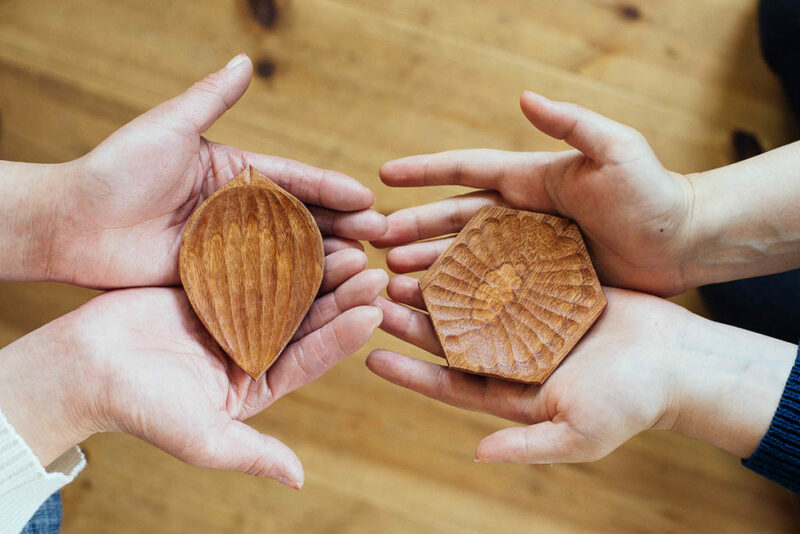 This certainly holds for studio crafts, but there are new practices that see experience as the medium, particularly those that bring people together in new ways. The artist hero of relational aesthetics, Rirkrit Tiravanija, is famous for removing all art objects from the gallery and replacing instead with a kitchen where he cooked and served bowls of Thai soup. But recently in this work for the National Gallery Singapore, he created an outdoor bamboo structure for a tea ceremony, using ceramic cups that he had made himself. While the objects themselves may not be noteworthy, the imaginative way in which he presented these to the gallery viewer was remarkable. It’s a recognition of the usefulness of things to connect us together. 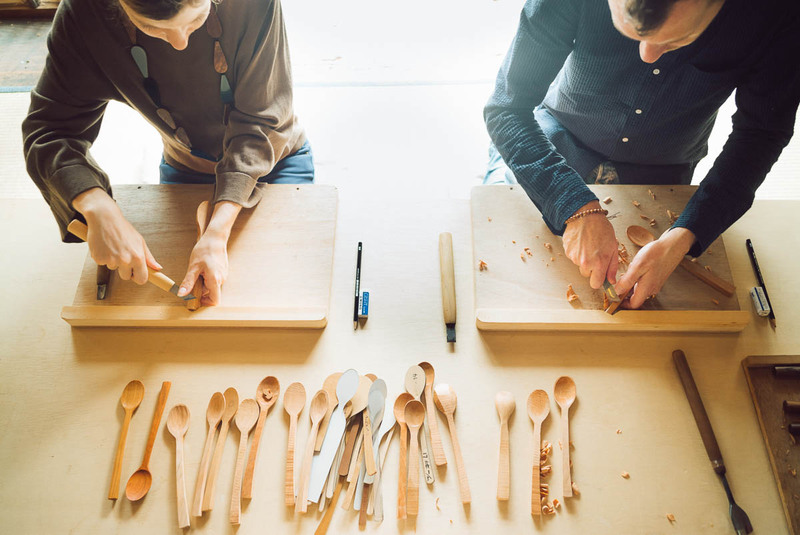 One positive way of reading craft in the “experience economy” is that it offers a return to the way of life where craft was integrated into our everyday world. As we know, the craft object was developed often for symbolic purposes such as offerings to the deities, particularly in temple decoration, adornment and making of idols. These objects had a value that was realised in rituals such as worship, communal dining and rites of passage. It is hard to understand the ritual role of the object while it rests on the plinth. As yet, we don’t see as many experiences offered that involve this, beyond the tea ceremony. The recovery of the object’s ritual value is an area of future development. Our modern conception of craft has included objects that endure, such as ceramics and jewellery. This is partly a product of archeology, which has naturally focused on the material remains of previous cultures. But it also reflects an industrial economy that assigns value to durable products that can be bought and sold. I’ve been thinking about ephemeral crafts in compiling the Encyclopedia of Crafts in the Asia Pacific (a project of World Crafts Council – Asia Pacific). This project is conducted multilaterally in asking countries themselves what they consider to be the most significant crafts. As a result, there were many techniques that sat outside the western pentad of ceramics, metal, fibre, glass and wood. These included composite products such as lanterns, umbrellas and puppets. But most challenging were the crafts from West Asia that were relatively ephemeral, such as soap and incense. Does craft have to result in a lasting product? In asking this question, we open the door wide to other craft techniques of everyday life, such as food and drink preparation and mending. These crafts are now the subject of great interest from the hipster generation. Hipsterism used to be dismissed as an ironic fashion, limited to outmoded technologies such as vinyl records. But in recent times it has acquired a new seriousness, as documented in the book Masters of Craft: Old Jobs in the New Urban Economy (Ocejo 2017), which tells stories of middle class educated men who have dedicated their lives to reviving lost manual trades, as butchers, brewers and barbers. This seems a good moment to review the field of world craft. While it emerged initially as a reaction against the industrial system, the world craft movement nonetheless has evolved its framework of values over time. Now we are entering a post-industrial phase, where much factory labour is conducted by robots, we have the chance to broaden our purview to include ephemeral crafts. This is something that has guided the journey of Garland magazine, which has sought to discover the energies of craft in our world today. An important example can be found in Mauritius, which has a strong migrant Tamil community. Many Tamil students attend the Mahatma Gandhi Institute, in order to learn how to make western style artworks, such as sculptures. Meanwhile, they are also involved in constructing the floral sculptures that feature in cultural festivals. These were never intended for show in art galleries, and thus are invisible as works of art. Yet their combination of skill and tradition warrant our attention as part of the world we seek to celebrate and support. This also applies for many of the Aboriginal cultures, which struggle to find a place in world craft. Their objects are skillfully made, beautiful and meaningful, but are made for ceremonial purposes and have little use afterwards. But it’s not just to the past that we should look. While the global film industry may seem a distraction from the local production of craft culture, there are many examples now of how it is adding value to our field. The recent hit Black Panther involved the design of new forms of jewellery adornment that reflected traditional African patterns. This has led to a revived of interest in African jewellery. And that Disney film Coco, it turns out was inspired by the craft of alebrije, the fantastic carved creatures made in Oaxaca. The film’s success has led to a boost of demand for its products. I’m not suggesting that we blindly “go with the flow”, without thinking critically about the nature of this craft “experience”. One important role of masterpieces is that they connect us over time. They have a value that outlasts the current generation and represents the summit of craft achievement. By contrast, experiences, no matter how intense, are grounded in our being as individuals. The popularity of dining over shopping may be because we are not as focused on maintaining our strong social ties, which is often the motivation behind souvenir purchases. We try to counteract the experience economy as a threat to the crafts as we know them. It offers a chance to recover important ways in which crafted objects become part of our lives. But at the same time, we should be conscious of the potential loss of specialist skill and innovation. I doubt the experience economy will be able to support that. As with other elite pursuits, such as sport or music, there needs to be continued collective support for craft excellence. Inevitably, the experience economy will have both positive and negative consequences for the craft practice. What’s important now is to look carefully at its impact. 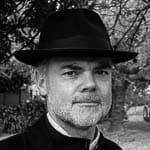 In what media, and through what services, does it enhance the role of the craftsperson? And, on the other hand, when does it become a repetitive chore that dulls the creative drive? It’s useful to start sharing our “experiences” of the craft experience. The future path is set. It’s up to us how we walk it. Chinese International Travel Monitor. 2018. Hotels.com. Debord, Guy. (1967) 2000. Society Of The Spectacle. Black & Red. Hareven, Tamara K. 2002. 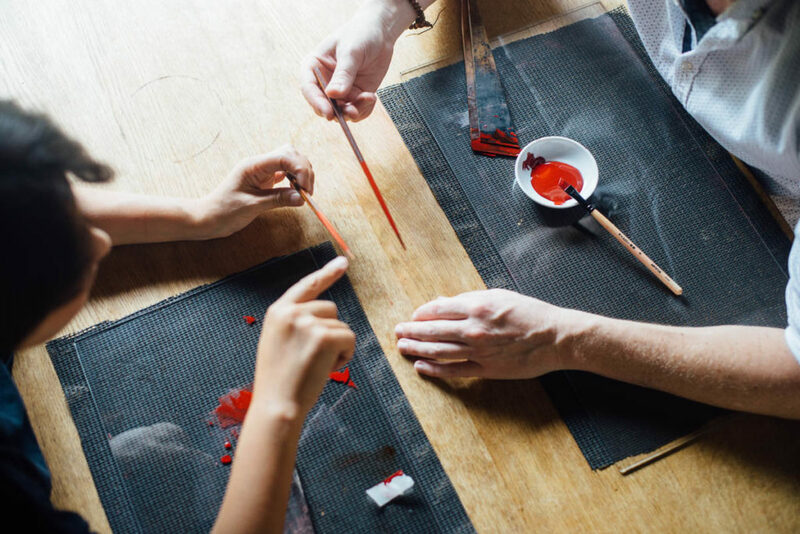 The Silk Weavers of Kyoto: Family and Work in a Changing Traditional Industry. University of California Press. Joseph Pine, B., II, and James H. Gilmore. 1998. “Welcome to the Experience Economy.” Harvard Business Review, July 1, 1998. Marx, Karl, and Frederich Engels. (1848) 2018. The Communist Manifesto. Skyhorse Publishing Inc.
Murray, Kevin. 2018. “Telling Stories through Craft.” In Qingdao International Craft Forum. Ocejo, Richard E. 2017. Masters of Craft: Old Jobs in the New Urban Economy. Princeton University Press. Toffler, Alvin. 1984. Future Shock. Reissue edition. Bantam. An excellent article, very thoughtful and brings up many of the issues that the crafts face in today’s world. I agree fully that the experience economy has value but is unlikely to perpetuate the excellence of the craft. In the past, museums created that experience and today it’s workshops. I also appreciated your point on ephemeral crafts, which is something we face in the Middle East. Thank you for the excellent piece.